Buffalo is a great food city. Its diverse population has introduced waves of ethnic restaurants into an already strong pool of classic Italian stops, and there's enough of a selection to appease all budgets. While not all restaurants adore this biannual week - loads of reservations to keep up with, special requests, lower tips and the constant barrage of customers to please - they bear the storm to introduce their business to new eaters who could very well become regulars. So, be patient and understanding when dining this week, but don't hesitate to try something new, adventurous or outside your budget. Local Restaurant Week, runs April 1-7 at more than 200 Buffalo-area restaurants. Costs range from $20.19 to $40.19; see the list of participating eateries. 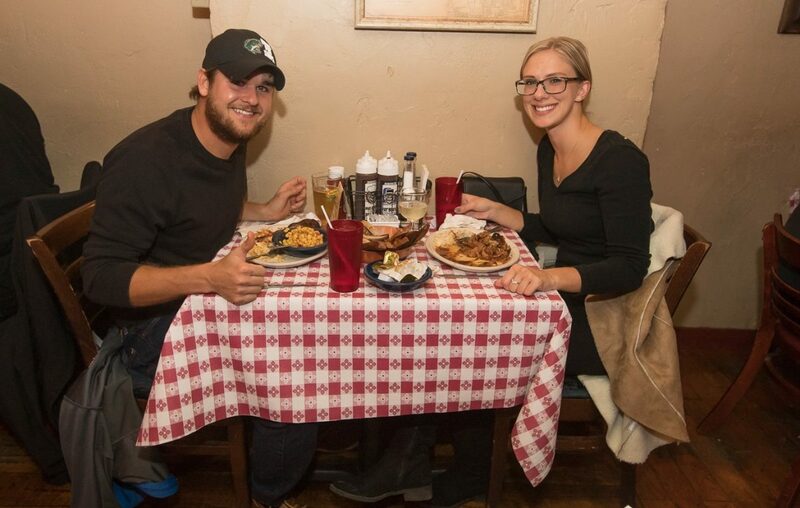 Put your eating pants on for Local Restaurant Week, the biannual food celebration in Buffalo that puts the spotlight on locally owned eateries. While more than 200 are participating, we've suggested 10 deals worth trying - some for their newness, others for their exceptional bargains and some because they deserve recognition. Given the popularity of the week, check with the desired restaurant for reservations, as many of the trendiest restaurants and best deals tend to fill up as early as Monday or Tuesday. You should go if: You need food for sustenance. Borderland Music Festival lineup release party, 7 p.m. Wednesday, April 3 in 42 North Brewing Co. (25 Pine St.). No cost to attend. After a terrific inaugural event last summer, the Borderland Music and Arts Festival has significant buzz entering its sophomore year, which is scheduled for Sept. 21-22 in Knox Farm State Park. What groups will follow the precedent set by Sam Roberts Band, John Oates and the Revivalist, the three biggest names to perform at the East Aurora bonanza last summer? Head to 42 North on Wednesday to learn the 2019 bill, as well as enjoy live music from Leroy Townes Band and receive $1 off any beer if you bring your Borderland stainless steel cup from last year. Some early bird tickets will be available. You should go if: You have fond memories from last year's festival. John Popper, 8 p.m. Tuesday, April 2 at Asbury Hall at Babeville (341 Delaware Ave.). Tickets are $35 in advance, $40 day of show. Lead vocalist, harmonica wizard and founding member of Blues Traveler, John Popper will stroll into Asbury Hall for an acoustic show just a few days after celebrating his 52nd birthday. He'll be joined in his set by keyboard player and Blues Traveler bandmate Ben Wilson, with opening support from Jamie Holka. Expect a wide-ranging list from Popper's and the band's catalogs, and there's plenty to work from, as the blues rock group began churning out hits in 1987. You should go if: Harmonicas soothe your soul. Small Houses, 7 to 10 p.m. Wednesday, April 3 in Duende @ Silo City (85 Silo City Row). Cost is $8 at the door. Wednesday night will bring an eclectic mix of performers to the Silo City music venue, with Small Houses - an indie-folk project from Austin, Texas - headlining the night. Heave, a "bedroom folk band" from Buffalo, is the opener, while Just Buffalo Literary Center's Noah Falck will deliver poetry. This show made the cut for Mac McGuire's "3 can't-miss shows" post from last week. You should go if: You're curious about what bedroom folk means. Brennan's stuffed banana pepper dinner, 6 to 8 p.m. Wednesday, April 3 at Brennan's Bowery Bar (4401 Transit Road, Clarence). Tickets are $45 and must be purchased before 9 p.m. April 2. If you missed out on Coles' quickly sold-out dinner in February, consider a similar meal at its sister restaurant, Brennan's, on Wednesday. The menu includes roast banana pepper soup, banana pepper Milanese, banana pepper clams casino and banana pepper lasagna; the full description of the menu may be found here. While many credit Billy Ogden's, a now-defunct restaurant on William Street, for crafting the best stuffed banana pepper in Buffalo history, Coles on Elmwood has become known for the appetizer over the last several decades and continues to sell it today. Brennan's owner Dave Shatzel is the brother of Mike Shatzel, the owner of Coles. Note that tickets must be purchased in advance of the event. You should go if: Spicy foods rev your engine. Bisons' opening day, 2:05 p.m. Thursday, April 4 at Sahlen Field (275 Washington St.). Tickets range from $11-$14 here. The first pitch of the Buffalo Bisons' 2019 season will be thrown Thursday at the newly named Sahlen Field, as the Scranton Wilkes-Barre Railriders trek to town. While it might be too soon to expect uber-prospect Vladimir Guerrero Jr. in the lineup, there's plenty to be excited for in terms of concessions, including a bigger emphasis on Sahlen's Hot Dogs, an all-you-can-eat buffet in Consumer's Pub at the Park and wildly snack-able jalapeno popper bites. We do not think those were named after John. You should go if: You aren't deterred by ballpark hot dogs. "Parade," 8 p.m. Thursday, April 4 at Theaterloft (545 Elmwood Ave.). Cost is $20 general admission or $10 for industry and students; see ticket info. Production runs through April 13. The penultimate weekend of American Repertory Theatre's "Parade" approaches, and there just aren't too many more chances to see Jordan Levin's exceptional character development as Leo Frank and his rapport with real-life wife, Melissa, who plays Lucille. News contributor Anthony Chase doled out a solid three stars to the play directed by Matthew Refermat, accentuated by a live band that boasts two French horns. You should go if: You want to see a real-life couple tackle a brutal story line of a historical couple. "After the Fall," 7:30 p.m. Thursday, April 4 at the Manny Fried Playhouse (255 Great Arrow Ave.). Tickets are $30 general admission, or $25 for members, students and seniors. Through April 6. If you've never seen an Arthur Miller tale put to stage - "Death of a Salesman" is probably his most famous - then Post-Industrial Productions, with the help of Subversive Theater, lends the opportunity for one more weekend. The role of talkative Quentin is far from easy, with long monologues and wordy phrases to memorize, but actor Darryl Hart handles it smoothly, Chase wrote in his review. You should go if: You appreciate Arthur Miller's greatness. How to Avoid Conflicts with Coyotes, 7 to 8 p.m. Wednesday, April 3 at Westwood Park Pavilion (175 Pavement Road, Lancaster). Free to attend. This is not an April Fools' Day quip, and while the title is amusingly worded, coyotes are a legitimate threat in Lancaster and other suburbs (just ask Clarence in 2017), especially for families with pets. Dino Zack, a Nuisance Wildlife Control Operator and professional geologist, will discuss the tendencies of East Coast coyotes and some practical ways to keep them from messing with your beloved pets. (They do not respond well to tickling). You should go if: Coyotes make you nervous. Giant inflatable duck schedules Buffalo comeback, to bring a friend, at Canalside (44 Prime St.). Free to ogle the massive yellow spectacle. It's back! The floating, billed behemoth that captivated Buffalo in 2016 will be back for another relaxing weekend on the water at Canalside, and this time it will have a friend in tow. The World's Largest Inflatable Goose will follow the duck, perhaps a little too closely, and there will be autograph signings at Liberty Hound. You should go if: You're gullible.